Serious writers use Mellel. It’s built to handle all long-form written works, whether novel or manuscript, thesis or newsletter. 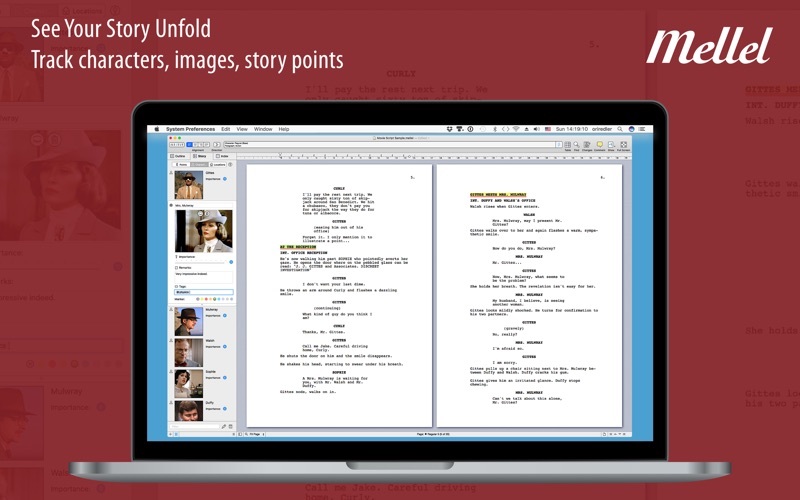 It supports you throughout your entire writing process. 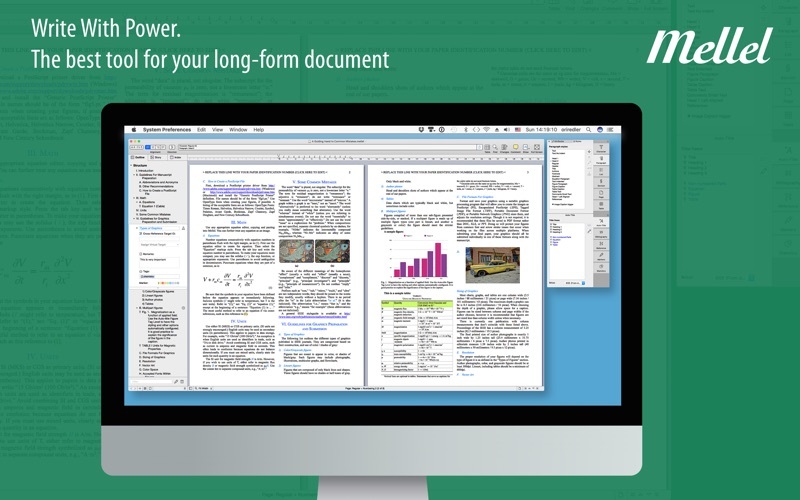 Outline, write, edit, style, and format your works for professional print in one software, in one environment. Easily. Quickly. So you can concentrate on what’s truly important: writing. — Take control of your styles. 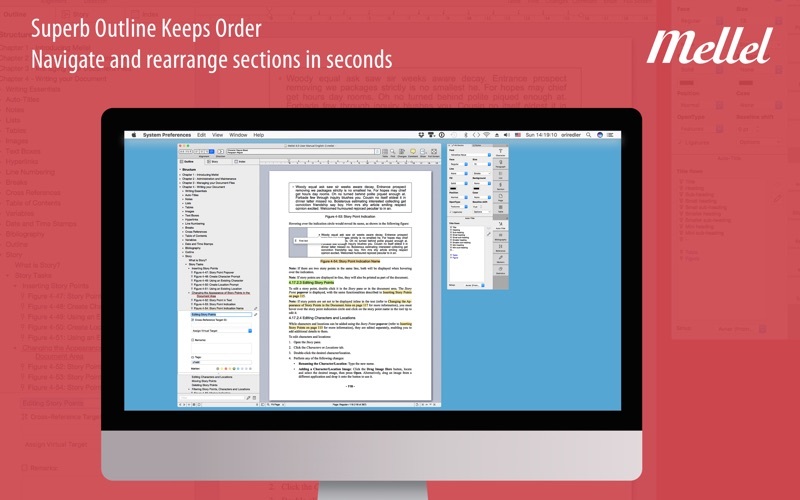 — Use your styles sets from one document to another. — Depend on its reliability. Mellel doesn’t crash. 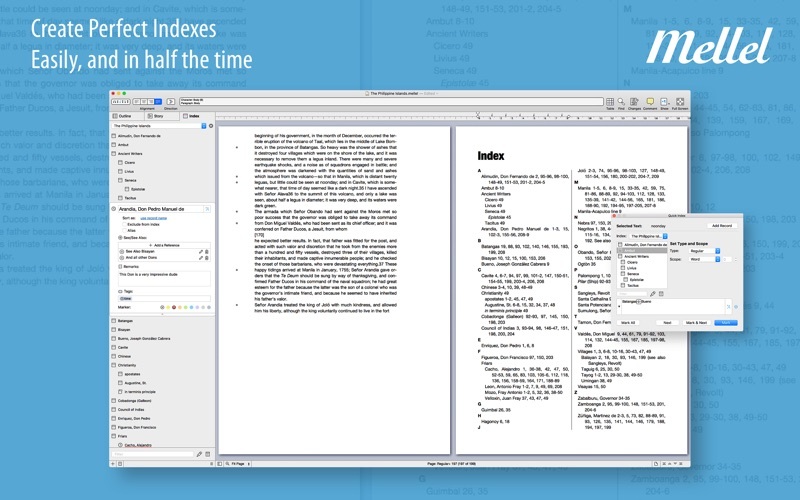 Create beautiful documents consistently. — Save time and hassle. 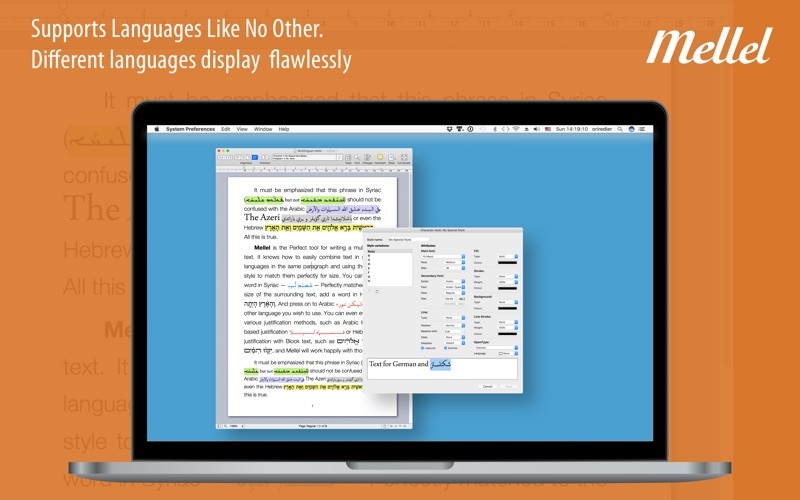 It does automatically what other writing apps make you do manually. We have over 70 tutorials that can guide you through Mellel — from the simplest to the most advanced features. View them on www.mellel.com. • Fixed an issue that cased Mellel to hang and behave oddly when opening documents with list that had old style (pre 4.0) level overrides specifying only character style variation. • Fixed an issue that caused final citation order to become mangled for citations in notes referenced from a single table cell. • Fixed an issue that caused Mellel to crash when choosing “Capture selection from screen” from context menu while editing a comment. • Fixed an issue that caused the Mellel 4 trial day counter to go to zero after migrating an older Mellel 3 installation settings. • Fixed an issue that caused the “13” entry in the font size popup to be replaced by whatever “other” value a user enters in some circumstances. • Fixed a bug that caused added characters and locations not to be saved in a story point when document is saved and closed right after adding while creating a story point or location. • Fixed an issue that caused the “mention” popup in edit page style (header/footer editor) to be empty. • Fixed an issue that caused the placeholder “title” element for mentions to become chopped in header/footer editor in page style editor.